Switzer Performance took their biggest and most powerful performance package for the Nissan GT-R to the dragstrip today. 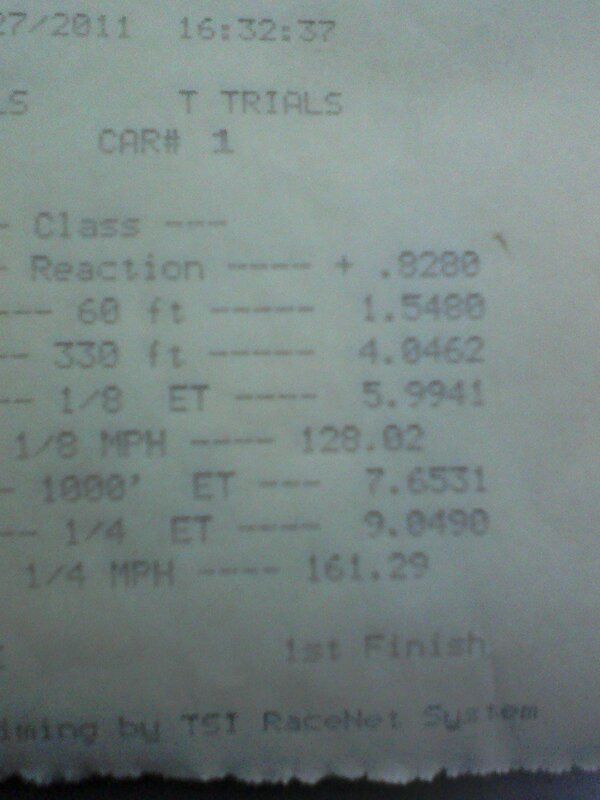 They only got in two passes, but the first pass put down a 9.04@161 mph. 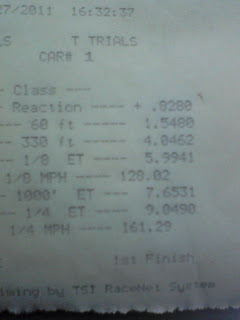 Not quiet fast enough to cover the AMS, 8.9 @169 mph pass, but its close. I foresee a little bit of a battle, to see how deep into the 8's each can go. As summer turns to fall, and the temperatures start to fall, expect the 1/4 mile times to decrease, and the mph to increase. Stay tuned for the video, and the next 8 second car?